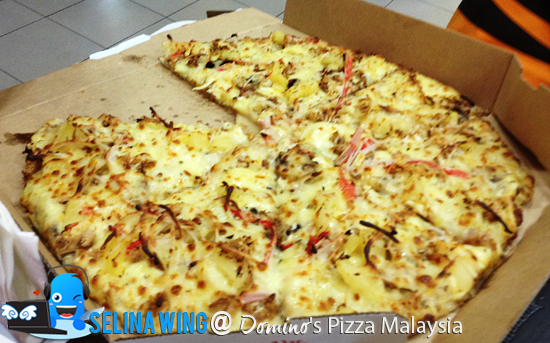 Thank you to Chrissie's team, PR Domino! 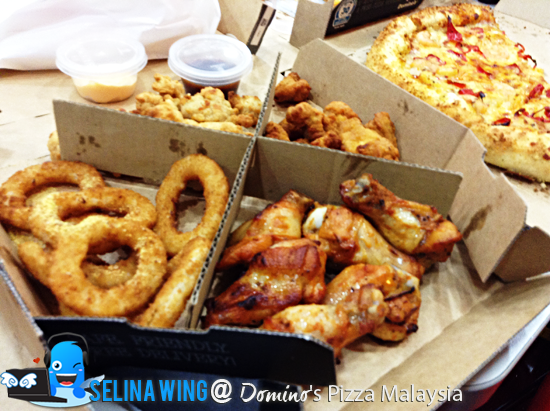 Domino's Pizza is known by everyone in Malaysia already because it is BEST online website that always ordered by Malaysians on every time when they are very hungry of pizza! 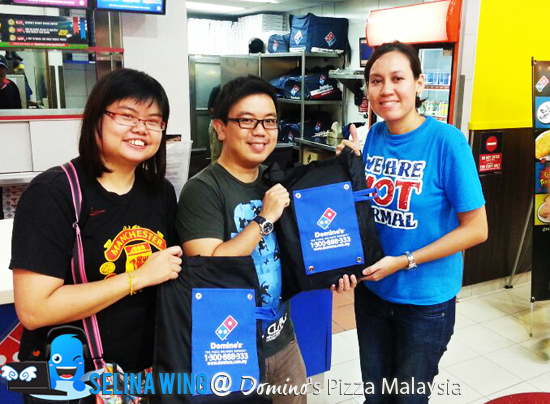 Domino's Pizza like to thank for every Malaysian to launch new amazing event online; Domino's Kickoff Online Contest! 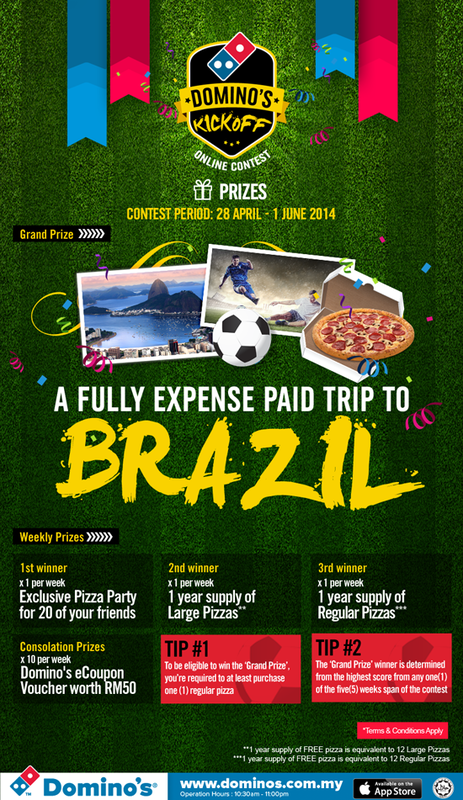 Their giveaway of lucky football enthusiast the opportunity to win an all-expense trip for two persons who are "World Cup football's fan" to Brazil! 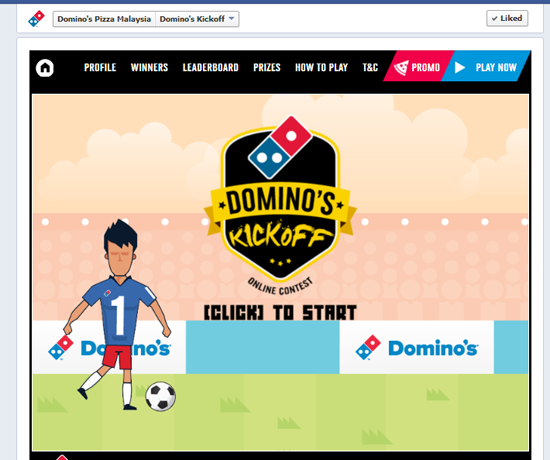 How to play Domino's Kickoff Online Contest? 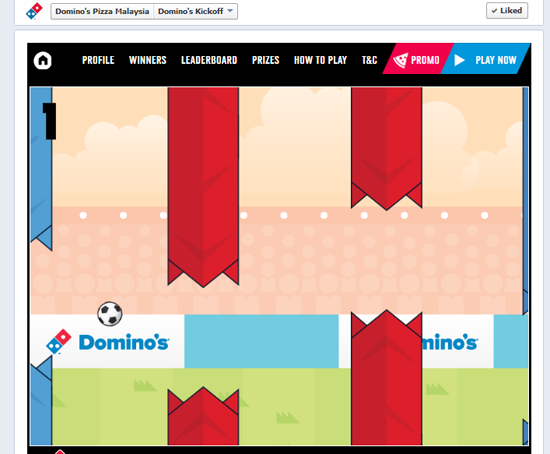 First, you can use your laptop/ computer to http://www.dominos.com.my/kickoff. 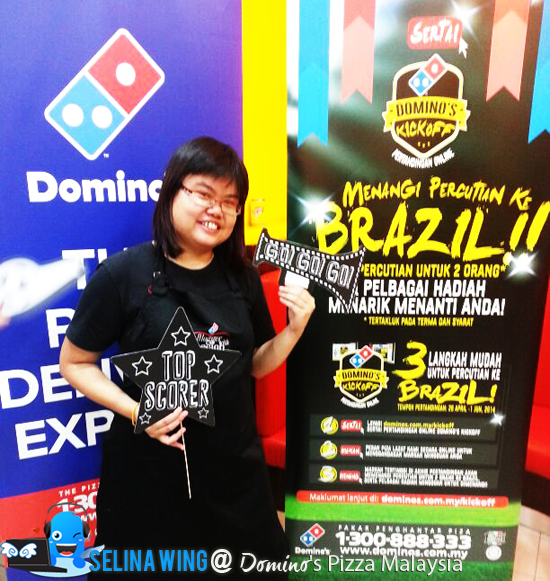 You can register your email which registered at domino.com.my first before you play this game social media! At your profile dashboard, you can share this game online via facebook and twitter or invite o earn more points. Better, you order some pizza from domino.com.my to increase your score! 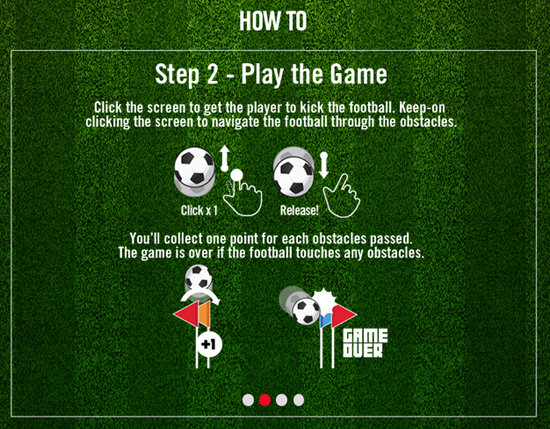 All you do is kick a ball, make sure you bring a ball to goal with your mouse click, click only! You can play again, again, do not give up ya! After you collect the points, you can check your results of scores at your profile dashboard. Easy! 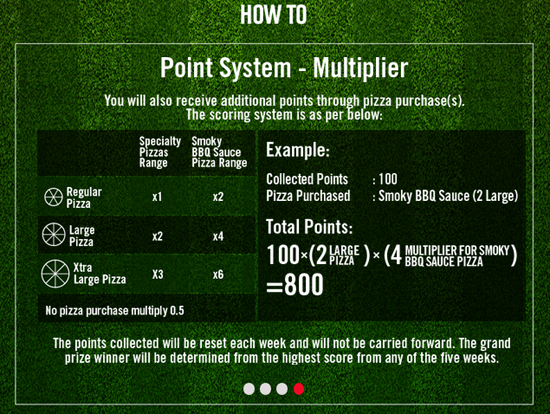 If you want more scores, you can increase your chance of winning with the score multiplier, by ordering the bigger pizza size, Smoky BBQ pizza! 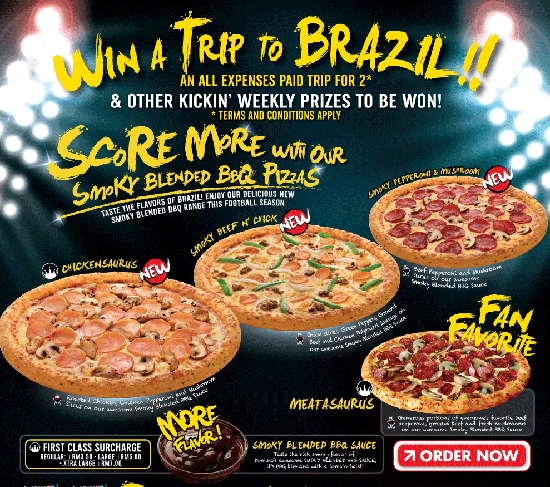 The Domino's Kickoff Online Contest was kicked off with the introduction of its Smoky Blended BBQ range featuring 3 new pizzas, Chickensaurus, Smoky Beef N' Chick and Smoky Pepperoni & Mushroom. The all-time fan favourite, Meatasaurus also joins the new range of pizzas with a boost of flavour from the new Smoky Blended BBQ Sauce. Awesome! 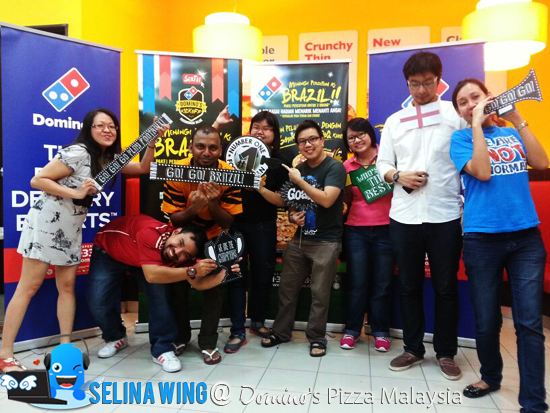 My friends and I always be grateful and like to be thankful for Chrissie, and her team about the invitation to Setia Alam Domino’s Pizza outlet within the launch of Domino's Kickoff Online Contest. We also celebrated a first-time Blogger Party Anniversary with other bloggers and Chrissie's team for this launch! 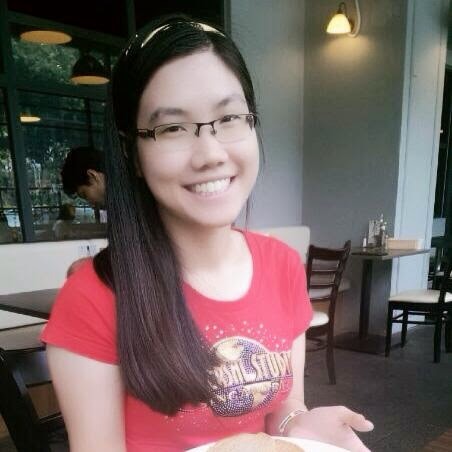 It was a great-enjoyable night party as we enjoyed to eat alot pizza as CRAZY! 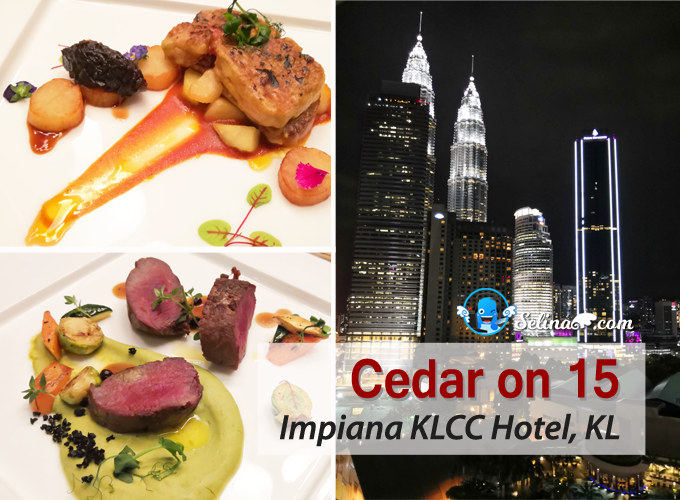 We are very hungry while we are on the way to Setia Alam because we struck in jam when rainy day! Haha. 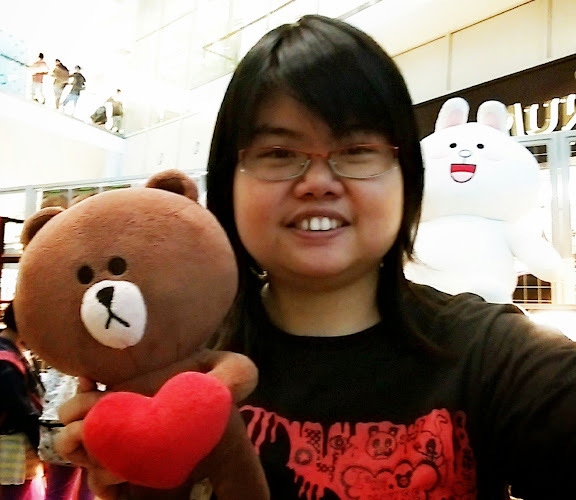 We get the freebies gift from Chrissie! Thank you! 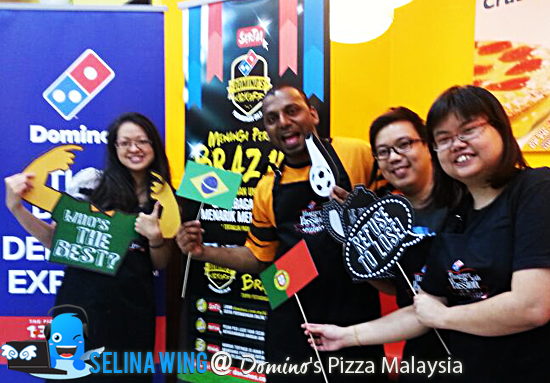 Come and join the Domino's Kickoff Online to win yourself a trip to Brazil! If you do not win the grand prize, there are also others attractive prizes to be won! 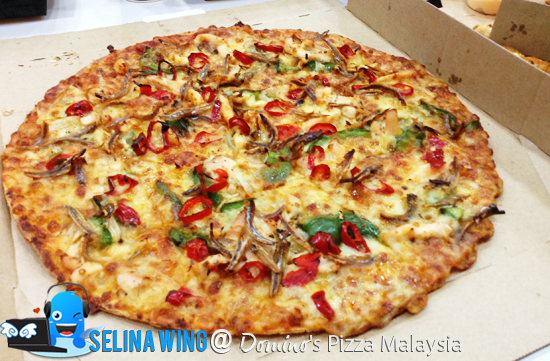 Please visit and like Domino’s Pizza Malaysia on Facebook page for more updates on the latest promos and offers from Domino’s Pizza!